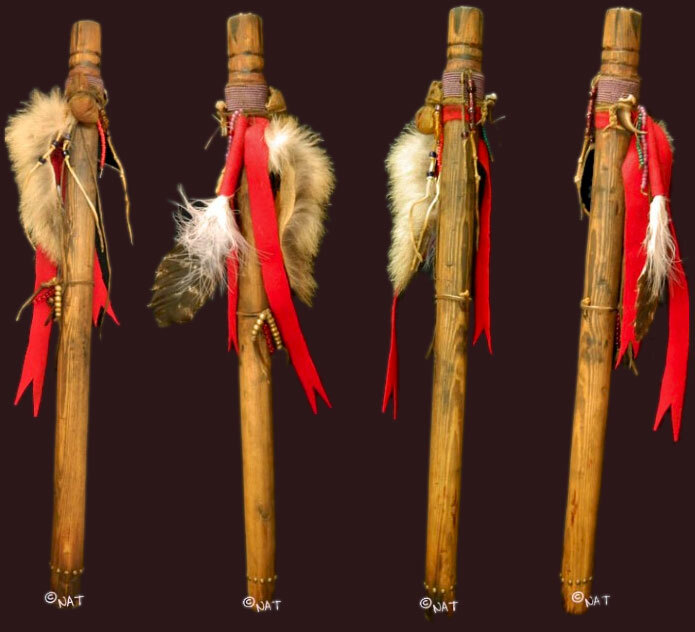 Talking Stick Features coyote fur, coyote claw, artist bear claw, wool cloth, brass studs, glass seed beads, various other beads, feather, deer skin, medincine bag including personal medicine. 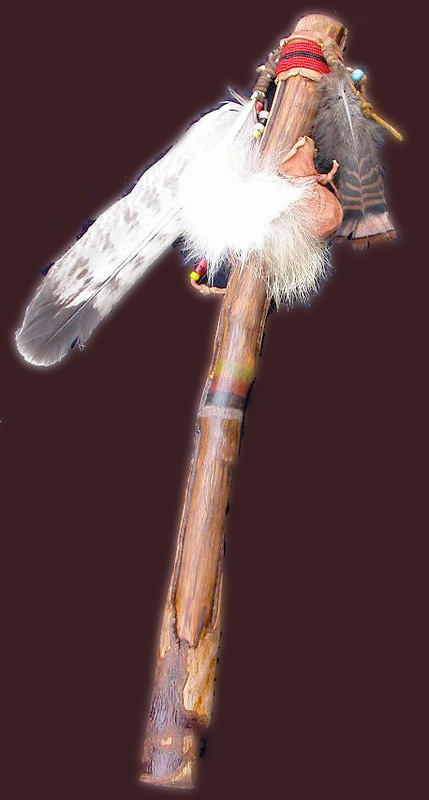 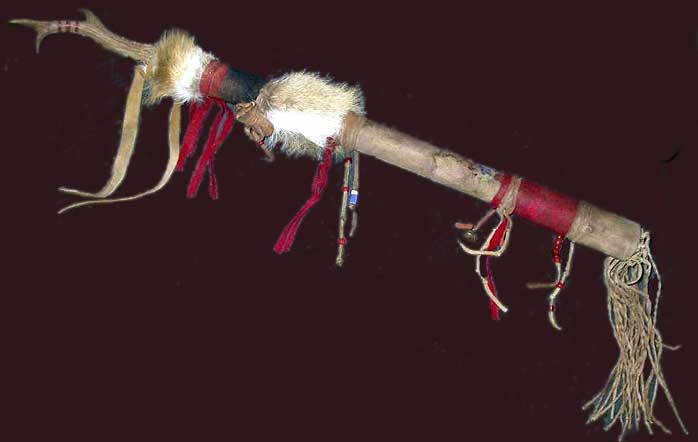 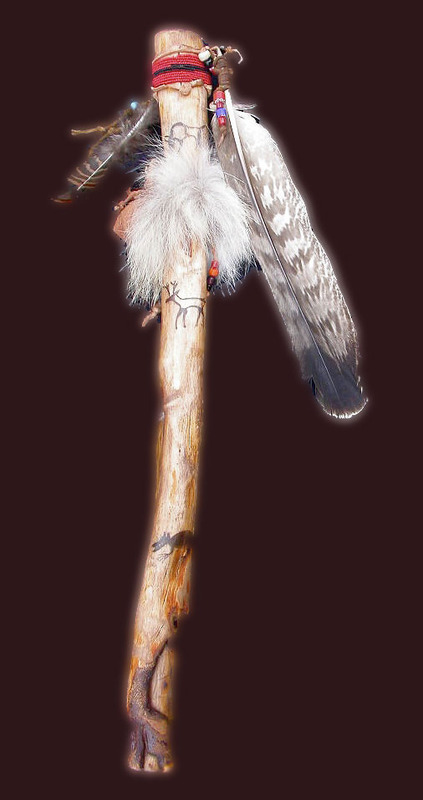 This Staff was over 5 foot tall and featured otter and coyote fur, medicine bundle with personal medicine, deers skin, trade beads, other glass beads, clay paints, silk ribbon, wool cloth, feathers, brass studs, etc. 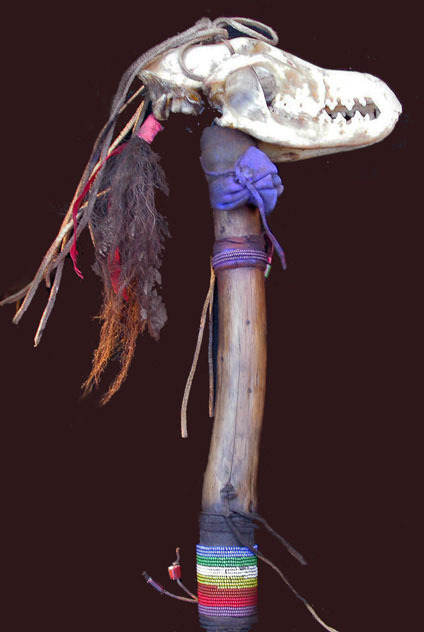 Navajo sun face painted on it to honor clients Navajo brothers.